The Faculty Senate voted 44 to 20 in not participating in the implementation of Executive Order 1100-Revised (EO 1100-R) on Thursday. Faculty expressed concerns over the lack of data that supports the resulting changes of EO 1100-R. Professor of computer science, Jeffrey Wiegley, supported Tonyan’s statement and believes that they are post implementation and that the administration has given the faculty a chance to provide them with options. Wiegley does not want to lose the faculty’s self-governance because he wants to be involved. However, due to the lack of data, he is having a difficult time deciding what is the best option for his students. “I’m personally kind of not ready to vote on this as much as I would like to be,” said Wiegley to the senate. Former Faculty Senate President Adam Swenson asked the senate to choose a plan that constitutes implementation, rejecting the Chair’s ruling. Swenson gave the senate two reasons as to why they shouldn’t implement EO 1100-R. The first was that the curriculum would not be decided at the Faculty Senate, but instead only an allocation of resources. The second is symbolic to Swenson because he believes the Chancellor’s Office has been jeopardizing the value of CSU students’ degrees. The Faculty Senate also voted against the motion for the vote of no confidence of President Dianne Harrison, 32 to 26. Kathryn Sorrells, professor in the department of communication studies, spoke on behalf of the Ad-Hoc committee, which includes Senator William Garrow, Senator Gina Masequesmay and herself, on the resolution of no confidence in Harrison. 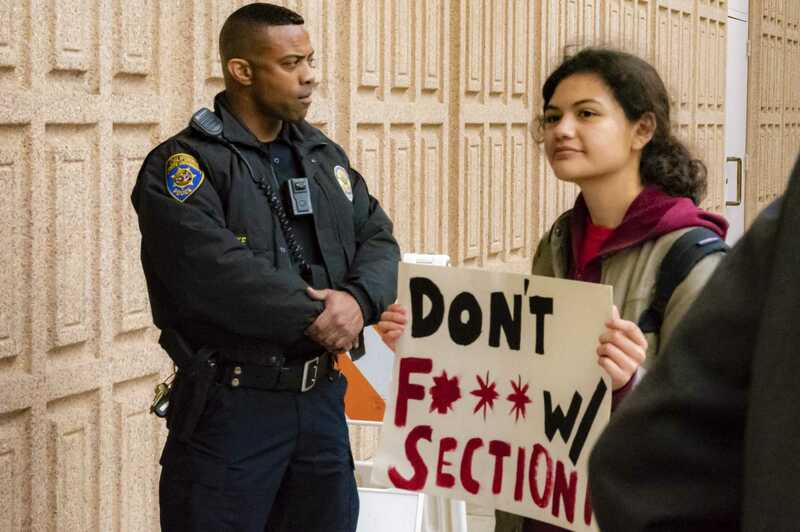 Student protesters were also turned away by police when attempting to enter the Faculty Senate meeting, causing outrage in the process. A group 15 to 20 students and faculty members protested outside of the Oviatt Library entrance to the Faculty Senate meeting in the frigid rain after being denied access. The protest began when students were turned away by police officers at the blocked entrance to the meeting due to limited space in the Jack & Florence Ferman Presentation Room. 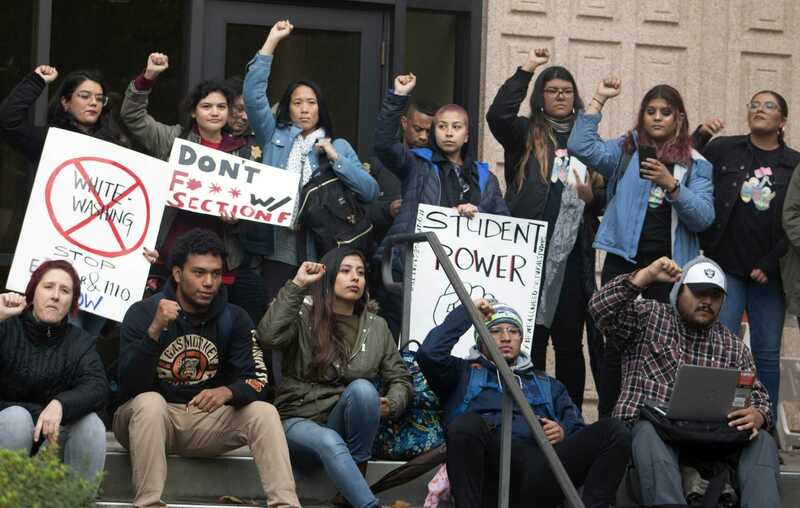 A select 31 students were allowed into the meeting but only five of them were members of the student protest group Executive Order Coalition, according to the protesters. 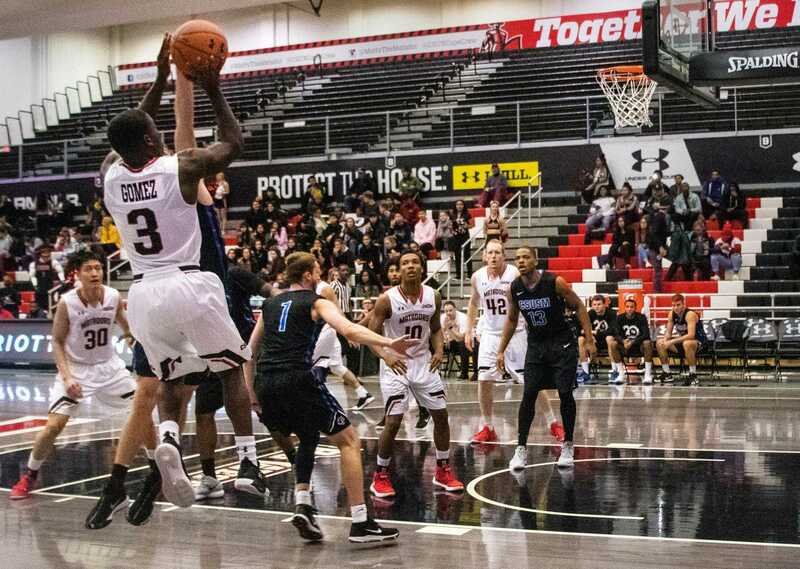 Students that wanted to be present at Thursday’s meeting were to fill out a form on the Faculty Senate website with their CSUN emails which were then randomized and the first 31 students on the list were chosen to attend the meeting. Protesters were displeased with this process and explained that it was unfair since this was a public meeting. Faculty members were also in attendance and taking part of the protest. 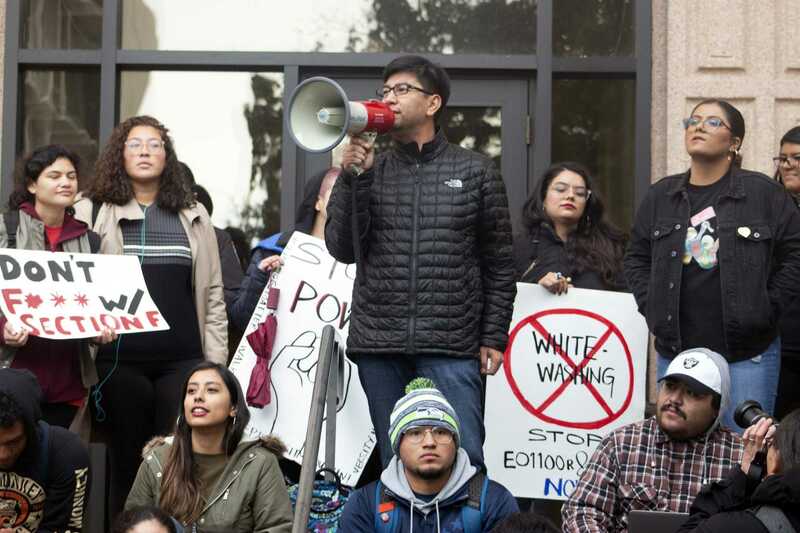 Assistant professor of Chicana/o Studies, Stevie Ruiz, joined the protests, saying that he was being blocked out by his own faculty. 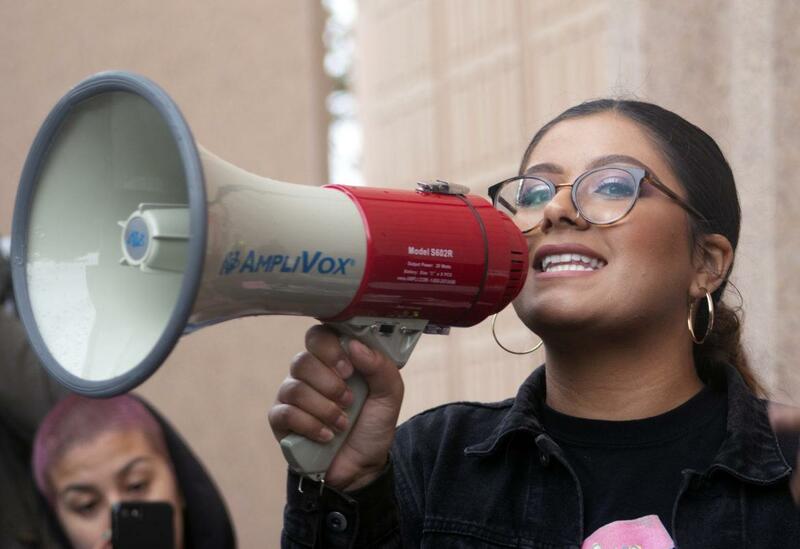 An Africana Studies student took the megaphone, expressing to the crowd the importance of ethnic studies to the students that are graduating that will return to their communities with the skills that they have learned at CSUN.